The fashion industry is a dirty business in many ways. It is the second most polluting industry after the big oil industry and labor conditions are often horrifying. 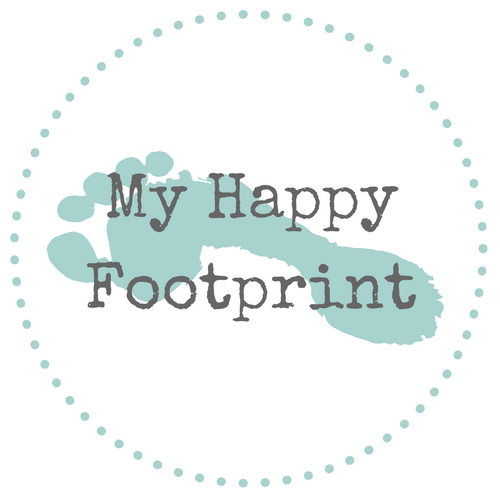 Those of you who have been following My Happy Footprint know that for that reason Nati hasn’t been buying any clothes since the 1st of January of 2018. But there are companies who do things in a different way. They turn waste into fashion and help those in need. Shoes made out of garbage, is that even possible? It sure is! 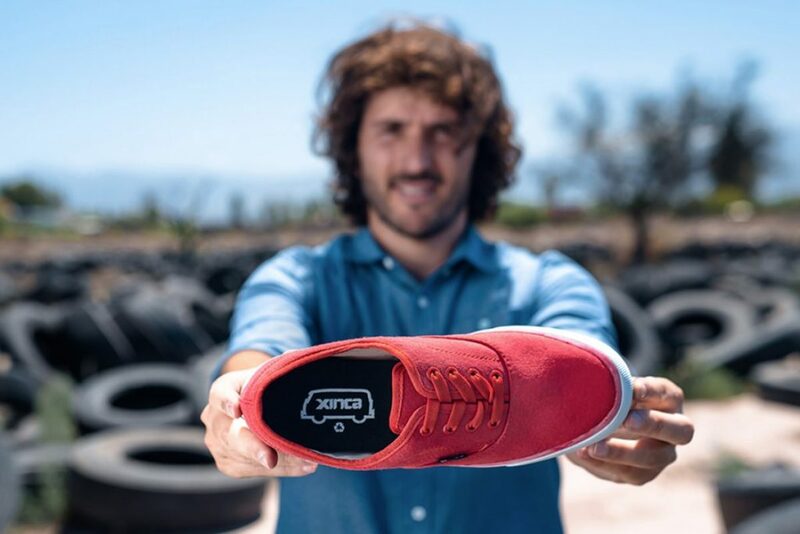 Xinca Eco Shoes is an Argentinian company that since 2016 produces sneakers made exclusively with recycled textile waste and rubber from discarded tires. The company reuses thousands of kilograms of rubber and produces a sneaker with a lower carbon footprint. Instead of taking valuable new resources from the Earth for each pair of sneakers they found a way to replace the production process with materials of recycled origin. The process begins with a factory that recycles tires and transforms them into rubber dust. Then a factory takes this powder and mixes it with other elements producing rubber sheets. These sheets are cut, molded and from there the soles of the sneakers are developed. Next, it’s time for the upper part of the shoes. Those are made with reused fabrics and are cut and stitched by members of the Impulso Social organization. Once all the parts are ready, the family company Calzados Lucio assembles the upper part with the soles. How does this contribute to the environment? Tire waste currently represents a major global threat. One billion tires per year are disposed all around the globe. 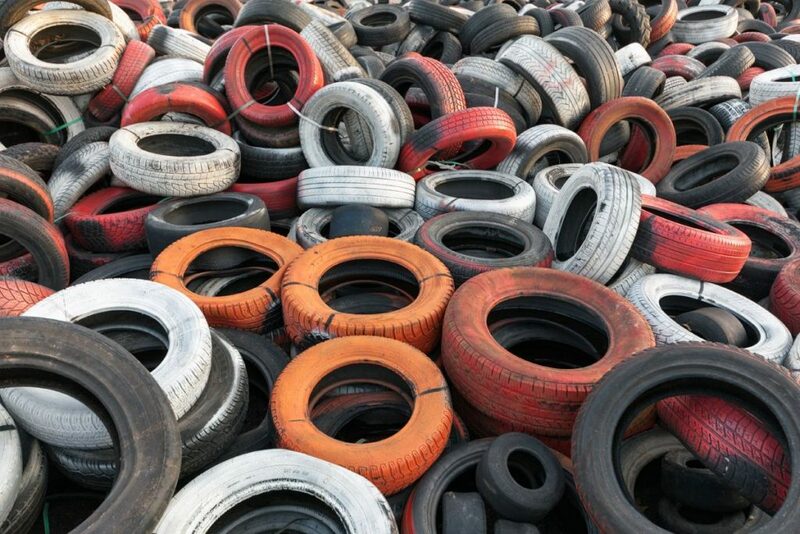 Only in Argentina, about 100,000 tons of rubber from tires are discarded per year. The most alarming; Approximately 150 million tires end up being burned. And burning a single tire produces approximately 7.75 liters of toxins which are released into our atmosphere. But what about the other disused tires? Well, about 32 million tires are buried! And this does not include the many that are buried illegally. It is estimated that each tire takes a long time to degrade; between 500 and 600 years and they never dissolve completely. And, in the case of being exposed to climatic factors, such as wind or rain, they will disintegrate in small pieces that contaminate the earth in which they are found. And not only this, all tires (burned or buried) release toxic heavy metals, which pollute the Earth and the groundwater bodies around them. In addition, 246 million tires produced in the USA alone do not count as tire waste. Around 10% of the total production fails to exceed the rigorous safety standards of the production companies. These faulty tires are typically classified as industrial waste and not as tire waste. Ok, enough with the data about tire waste! It is clear that the massive amount of tires we discard each year cause a huge problem. And although in the end recycling doesn’t prevent the rubber from reaching landfill and the tire industry needs to make a shift towards sustainable alternatives – Michelin reportedly is working on an ecofriendly tire – at this moment reuse of the tire rubber is more than essential for the care of the environment and the reduction of our carbon footprint. Now, what about the textile industry and its waste? It is estimated that the fashion industry generates about 13 kilograms of waste per person on the planet per year. That total amount of waste is the equivalent of a surface as large as whole France. Only 1% of garments are recycled to produce new garments per year. And only 20% of all textiles are recycled. And what about the remnants? 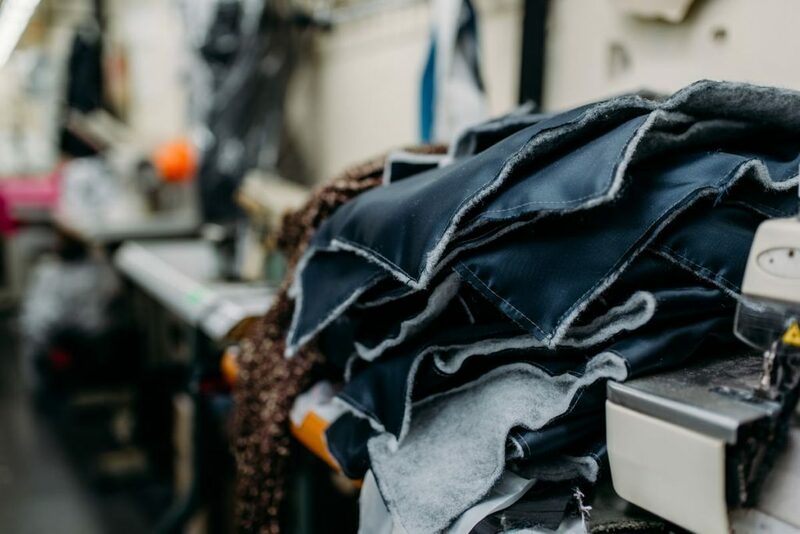 Approximately 15% of the fabrics used for the production of clothing ends up on the floor of a cutting room, without being recycled. It is important to know that 95% of textile products that are discarded could be recycled. By using recycled cotton for instance, we would be saving about 20 thousand liters of water per kilogram of cotton for new garments. Each ton of discarded textiles that is reused stops about 20 tons of CO2 that would enter the atmosphere. What is certain, after all, is that most of the waste in the textile industry ends up in open garbage dumps or is burned and very few is recycled. For this reason, the reuse and recycling of fabrics and garments is essential when it comes to taking care of our planet. Xinca Eco shoes is doing his share in saving textiles from going to landfill. Tip: if you want to know more about the environmental and human impact of the fashion industry, watch the “True Cost” documentary. One of the main reasons why more and more people steer away from fast fashion are the horrible working conditions of those who produce our clothes and shoes. Luckily, companies like Xinca, take a completely different approach. These sneakers not only contribute to reduce our carbon footprint, but also help many people in a human way. The production of Xinca Eco shoes takes place in the prison San Felipe which is located in the province of Mendoza. Alejandro Malgor (founder) and his two partners; Nazareno El Hom and Ezequiel Gatti sought to develop a plan to give social value to their project. Reason why they decided to work with the inmates of the aforementioned prison. In this way the brand trains inmates through Calzados Cuyo, the only firm that works in a prison. They are giving work to do to the inmates and at the moment of leaving the penitentiary they manage to leave with obtained skills. When you buy sneakers from Xinca Eco shoes, YOU ARE NOT only helping the environment by not creating waste, you are also helping to improve the lives of many individuals in a situation of exclusion. The next time your sneakers need replacement, put Xinca Eco shoes on your shopping! It’s a wonderful example of how we, as a consumer, can help to make the world a better place by choosing better alternatives. Currently, Xinca Eco shoes can be bought in selected stores in Argentina and Chile. Visit the website of Xinca Eco shoes for more info. Our addiction to the internet is destroying the planet. And it’s more serious than you think. Did you ever think of the impact your Google Searches, YouTube streaming, Netflix binge-watching, social media scrolling and continuous flow of e-mails has on our planet? Our addiction to smartphones and the internet is damaging the planet at an incredible speed. Here are 5 things you can do to reduce your internet carbon footprint.